Easily click and save PDF to the folder of your choice. As an office holding ISO 9001:2008 certifi cation, with premises in Wrocław, Poznan and Warsaw, together with our c. 50 staff in the accounts, human resources and payroll departments and IT Application Hosting (SaaS or DaaS), we have oriented ourselves towards the needs of German language enterprises active on the Polish market through daughter companies, branches or representative offices. getsix® Services takes over the operation and maintenance of a Dynamics NAV environment belonging to you at fixed monthly costs. Our extensive IT infrastructure encompasses servers, networks and security and guarantees round-theclock provision of access to critical data for the needs of business activity, including also a defined minimum availability for the entire system environment on the basis of an SLA (Service Level Agreement). The Dynamics NAV environment is made available via Citrix XEN App. Benefit from reliable processes in sales, storage and accountancy, and in all other departments of an enterprise. Concentrate on your fundamental competences and entrust us with responsibility for the servicing of systems. In Germany alone over 14,000 medium-sized enterprises rely on business software from Microsoft. Microsoft Dynamics NAV (Navision) is a complete solution, drawn up specially for the needs of medium-sized enterprises. A homogeneous ERP system throughout the enterprise can support every sphere of activity at your organisation, e.g. accounting, materials management or sales. By way of Microsoft Dynamics NAV, Microsoft offers an efficient product at an attractive price solving precisely these problems of medium-sized enterprises. Because, in order to remain competitive over the longer term, care should be taken that staff are able to work more effectively. And this in turn requires integrated, flexible and easy-to-use software – such as Microsoft Dynamics NAV. It offers functions for control of business processes at medium-sized enterprises and provides the security of a standard solution proven on an international basis, but combined with the flexibility of individual solutions. Accelerated information flow leads to an increase in the efficiency of processes at an enterprise. Immediate inspection of current activity etc. It is also possible to add other required functions. In summary, thanks to a homogeneous and complete system, work becomes decidedly more efficient and productive. Software-as-a-Service (SaaS) is a model by which software is made available, with applications accessible to the user via the Internet. Our customers pay no fee for owning the software, but pay instead for its use under a form of rental. 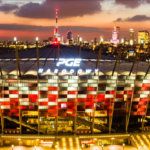 You do not need to purchase ERP software for your enterprise in Poland, e.g. for issuing outgoing invoices or running warehouses, because thanks to IT-Software Service it is possible to rent all of the necessary programs easily, via the Internet. You save not only on investment costs for licences or the upkeep of your own servers, but also on costs of installation and maintenance. You pay solely for that which is actually necessary: in the case of the rental of licenses in the form of the SaaS model, you only pay fees for those licences which you actually use. Thanks to the Microsoft SPLA programme you incur only low initial costs, in that you cover only those licences which you used in a given month. 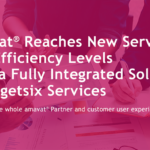 getsix® Services Saas Dynamics NAV eService will allow you to save not only on costs, but above all on time. getsix® takes over installation, maintenance and updating of your software and protection of the business data placed on external servers. Thanks to getsix® SaaS Dynamics NAV eService you will be able to enjoy the maximum freedom of movement in your work. By using a desktop computer or notebook with access to the Internet you will have access to your applications and data everywhere – in the office, on the road or at home. In addition, getsix® SaaS Dynamics NAV eService is able to offer the desired flexibility for the needs of carrying out projects and dealing with temporary workstations, in that you use only those programs which your staff really need. Readily mentioned here also are such aspects of security as SSL encryption, firewalls, backup etc., given that in the case of many hosting offers these are disqualifying criteria. Citrix® XenApp™ is a solution used in making applications available and managing them. The transfer of applications to getsix® Services DataCenter and the central management of this software allows your users immediate and secure access to Windows® applications, irrespective of where they are to be found. This virtual availability of applications is optimally adjusted to each end device, the network and each location, and guarantees the user a high degree of comfort. You require only access to the Internet. getsix® Services is an official supplier of Citrix Service, as well as a registered Microsoft SPLA partner. getsix® Services is your partner in the field of accounting and taxes, making use of the finance module of the ERP system MS Dynamics NAV 2009 for entry at a Polish daughter company. 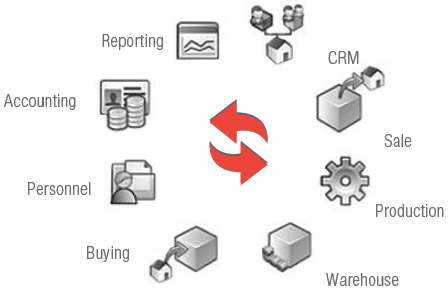 At the same time we make available the sales and goods management modules as hosted applications. 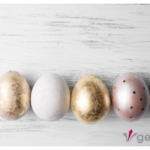 A huge advantage here is the fact that getsix® adjusts these modules to Polish market conditions! Besides the advantages of application hosting described earlier (costs, time and flexibility) and the benefits flowing from the use of a modern ERP system for the needs of a daughter company, this scenario offers numerous possibilities and potentials for saving on costs. Our IT-Desk prepares the sales module according to your individual requirements, e.g. by adjusting outgoing invoices to your Corporate Design (logo etc. ), while taking into consideration Polish articles on accounting. You are thereby making use of a modern ERP system for issuing outgoing invoices with the benefit that every outgoing invoice will be entered in the system automatically. At the same time this forms a basis for the efficient management of amounts due, in that information demanded can be checked in the system immediately, e.g. income from sales. Depending on individual requirements as regards configuration of the system for managing goods, the ERP system is adapted by our IT-Desk, or possibly partner enterprises (Dynamics NAV Solution Partner). You are therefore making use of a modern ERP system for organisation of goods management, with all of the benefits which result from this. Assumption of individual tasks by the parent company: thanks to shared access to data the parent company is able without difficulty to assume individual tasks, e.g. the issue of outgoing invoices etc. Mobile access to data is possible anywhere in the world: access to data is possible regardless of time and place, e.g. in the course of a business trip, at home, in various parent company locations with division into spheres of activity etc. The IT-Desk takes responsibility for support and will serve as a constant partner for dialogue, as well as being responsible for coordination of collaboration between your business and us. In the event of further questions, we are at your disposal.